How much caffeine in matcha? Is there decaf matcha tea? Where in Japan is green tea grown? What’s the best matcha to buy? Unless you’ve been living under a rock, you’ve definitely noticed this new craze. Or at least, new in America. The history of matcha in Japan is nearly a millennium old. The seeds used to make it were first brought to the country – to the city of Kyoto – in 1191 A.D. by a Japanese Buddhist monk, Myōan Eisai (1). He had traveled to China at least twice, where he got these seeds. Now what the Zen monks made was surely a far cry from today’s uses for matcha powder. They weren’t serving it over ice or in a smoothie. It was nothing like the Starbucks matcha green tea latte, which is just a sugar bomb – 32 grams for a Grande. Not healthy! Equally guilty are the folks who lie to themselves, believing their pancakes or no bake matcha cheesecake recipe qualifies for superfood status. The more appropriate moniker for those would be diabetic disaster, or how to eat your way from fab to flab. Ditto for Nestle’s flavored Kit Kats on Amazon, which are imported from Japan. Yes they’re delicious, but they’re a candy… not a health food. Only eat ‘em once in a blue moon. 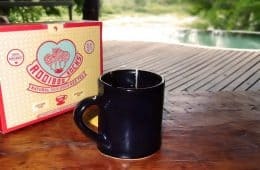 Let’s get back to the roots of the traditional tea, what benefits it might offer you (facts vs. hype), and how you can avoid its dirty secret. 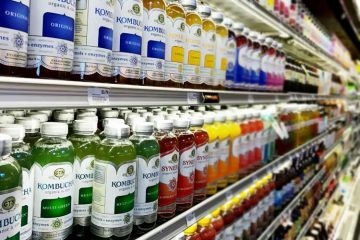 Depending on the source, it might be laced with dangerous levels of lead and other heavy metals. This plant is notorious for sucking up too much of the bad stuff in soil. You will be shocked to hear just how many of the 1,225 green tea samples tested exceeded legal limits for lead content (see below). Is tea safe from Japan after the Fukushima nuclear meltdown? Our current analysis of radiation in the region provides an answer you may not be expecting. For these reasons, you shouldn’t shop for it like a commodity based solely on price, because the health benefits (or side effects) really can differ based on where the plant is grown. Our reviews of tea brands at the bottom will help steer you in the right direction. The plants are shaded under a black netting, which alters how they grow and the resulting nutritional benefits. The name comes from the combination of two Japanese words matsu (to wipe or rub) and cha (tea). That describes how matcha is made, as the leaves were traditionally rubbed with stones and turned into a fine powder. Both matcha and regular green tea come from the same Camellia sinensis species, but they are grown and processed in different ways. The differences between green tea and matcha is that with the latter, the leaves are fully de-stemmed and prior to harvest, they are grown in the shade for up to 20 days. That causes the plant to make more chlorophyll – which gives the powder its vivid green color. As a result, matcha tea has more antioxidants, caffeine, and L-theanine versus regular green tea. Theanine is an amino acid believed to promote relaxation. More on that in a minute. Since its production requires more labor, historically this has not been a cheap beverage. 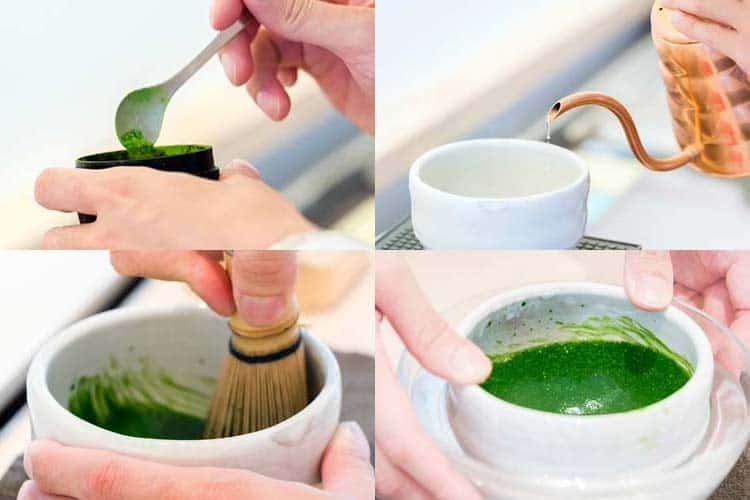 Aside from royalty and aristocrats who could afford to drink it daily, the best matcha tea was called ceremonial grade; it was the first harvest and saved for special occasions. Zen monks aside, the frequency of drinking it may be comparable to how Westerners drink champagne at weddings, New Years, and other celebrations. What is the best matcha, ceremonial grade, will have a vibrant green color. Some manufacturers are misleading and call their product “ceremonial grade” when actually, it should be called ingredient or food grade. After you brew a cup of tea, even a novice can decipher between them. Pure organic ceremonial grade tastes smoother, because it’s made from the top leaves which are the softest. Since they have the most chlorophyll, the powder is a vibrant green. Lower grade teas will be grittier due to the more mature leaves being used, as well as stem fragments which weren’t fully removed. A color that’s more yellow-green, and they often have an astringent-like bitter taste which can cause an upset stomach. Those are the worst matcha teas to drink. Make sure you know what the real version is before judging its flavor. How to make matcha is different than other teas. No bags or infusers are used. Since it’s ground to a fine powder, you drink all of the leaf. The traditional method of making it involves whisking the powder with a brush, after the hot water has been poured on top. You drink it out of a bowl. Why does matcha have so many calories? It actually doesn’t. An estimated 90% of the calories in the latte and similar versions come from added sugar. Unsweetened matcha is good for you and low calorie. One of the biggest myths about green tea is that its high in caffeine. According to the USDA, a standard 8 ounce serving only contains 29 mg of the stimulant (3). That’s actually less versus black tea, which clocks in at 47 mg (4). Coffee is around double that amount, with 95 mg per serving (5). An 8 oz. 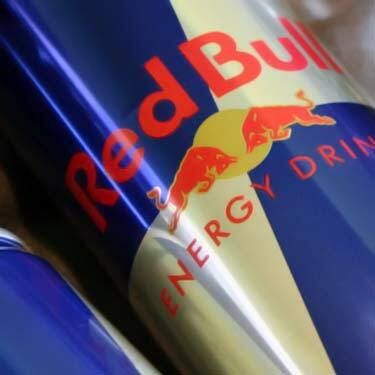 can of Red Bull has 77 mg along with other stimulants. Among all the different teas, beverages, and foods in the USDA National Nutrient Database which contain matcha (there’s nearly 80) none include information as to how much caffeine they have (6). When we turn to third party data, we get a wild range of numbers. Some websites report as little as 25 or as much as 80 mg per serving, so which is it? A lot of those sites are wrong because they’re simply reciting a number from another site which has no verifiable source (an incestuous circle of citations). Worse yet, few seem to be paying attention to serving sizes when repeating a number. So where can we find a reliable number? Teavana is owned by Starbucks, so presumably they have accurate information. 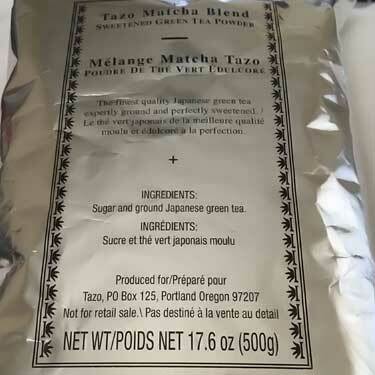 Well, a full review of the Teavana Imperial Matcha page and all it has is a graphic saying 40+ mg.
That could be 41 or 81… not very helpful! The UK Daily Mail lists 34 mg per 1 gram of matcha (7). That would mean 61 mg of caffeine, if using a standard serving of 1.8g powder. The problem is they don’t list a source. The only links pointed to a supplement drink manufacturer (Vivid Matcha in a bottle, not brewed tea) and a supplier/retailer (Aiya). From what we could gather, neither had verifiable data on this! There is 43 mg of caffeine in matcha, assuming a standard serving size which uses one heaping teaspoon of powder (1.8 grams worth). The traditional Japanese recipe uses just 2 ounces of water for that. When you crunch the numbers, it means on an equal weight basis, matcha has 80% more caffeine than coffee (172 vs. 95 mg per 8 ounces). But that comparison is not fair, because these days most people make it a lot more diluted – using 4 or even 8 ounces of water per teaspoon. 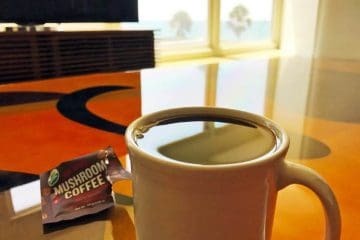 Though if you were to stick to the original ratio, it does beat your morning cup of Joe on a per ounce basis. Caffeine addicts will say no way, as they need the stimulation. 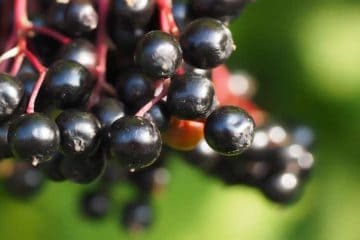 Others will argue such a high concentration could cause jittery side effects during the day, along with poor sleep at night. Does matcha make you poop? That’s yet another concern people are asking about, based on experiences they may have with drinking strong or black coffee. Dealing with the defecation topic first, matcha should not make you poop more. Contrary to popular belief, it is not the caffeine in coffee which has a laxative effect. Think about it. If that were the case, wouldn’t Mountain Dew, Red Bull, and yerba mate do the same? According to the American Chemical Society, about 30 to 40% of people will experience the need to poop after downing that Grande Pike Place. The cause has to do with compounds in the coffee that increase our body’s levels of two specific hormones; cholecystokinin and gastrin (9). Those can cause our body to dump contents into the large intestine, which in turn makes you need to take a dump, since that’s the last stop in your digestive tract. Whether its regular green tea, black tea, or matcha, all get their leaves from the Camellia sinensis, a plant which is not considered to have a laxative effect like coffee does. At least for healthy individuals with a relatively normal bowel system. That answer may differ for those with irritable bowel syndrome (IBS), Crohn’s, and other diseases. Why does green tea taste so bad, according to some palates? Most often the problem is bitterness, which can happen with a low quality product. Another factor can be the temperature used to make it, as higher temperatures create more bitterness. For some taste buds, the culprit might be the umami flavor, which is described as brothy or savory. That’s one of the 5 basic tastes, along with sweetness, sourness, bitterness, and saltiness. Initially the scientific community disputed the existence of umami, a term first assigned by a Japanese scientist in 1908. But during the past few decades, many are now on board that it’s for real (10). 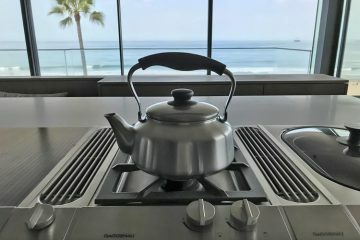 Regardless of whether or not umami is a distinct 5th taste, what scientists can agree on is that it is the L-theanine content in green tea which produces those traits (11). By weight, up to 3.1% of dried tea leaves are theanine. If you like the umami taste, this beverage is delicious. If not, it may taste like fish or bitter to you the first time you try it (it’s an acquired taste). Those traits might make you feel sick and nauseous. Theanine is a non-dietary amino acid is almost exclusively found in the Camellia sinensis plant. It has been confirmed to cross the blood brain barrier. Research suggests it might offer neurological health benefits which could help offset the nervousness and restlessness which often go hand in hand with caffeine consumption. In other words, rather than causing anxiety, matcha may actually reduce it. In a double blind study involving 16 people, a 200 mg dosage of theanine beat placebo during resting conditions (12). The same subjects were also given 1 mg of alprazolam (Xanax) and the theanine also beat it too! 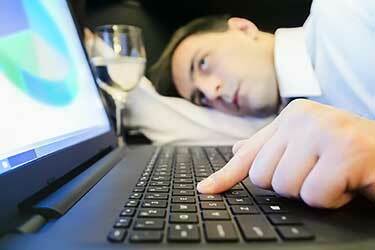 On one hand we want to be energized, yet on the other we want to be relaxed. Is it possible to have both at the same time? One of the most popular uses for matcha green tea powder is relaxation. That’s not just some recent fad, either. It’s a benefit which has been hailed throughout its history dating back to the Zen monks. However given that there’s little clinical research on it, for now it remains unproven. That said, in the brains of rats, theanine has been found to increase serotonin and increase norepinephrine, both of which are believed to correlate with relaxation. Scientists in Seoul measured the brainwaves of 20 men (18 to 30 years old) after taking placebo or theanine (13). The conclusion was that it promoted the release of alpha waves, which causes relaxation. A study involving 98 boys (8 to 12 years old) with ADHD were given L-theanine supplements over a period of 6 weeks (14). 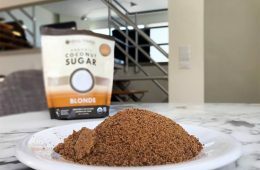 The branded product used, Suntheanine, involved a dosage of four 100 mg chewable tablets – two taken at breakfast and two taken after school (400 mg per day total). Their sleep quality was measured using a wrist device (to record movement at night) and a Pediatric Sleep Questionnaire (PSQ). It’s worth pointing out those were pure theanine supplements. Drinking matcha before bed would be a terrible idea, since it also contains caffeine. That being said, these purported relaxation, anti-anxiety, and sleep-enhancing benefits are still unproven, as no government has recognized them. Clinical research needs to be done to know for sure. 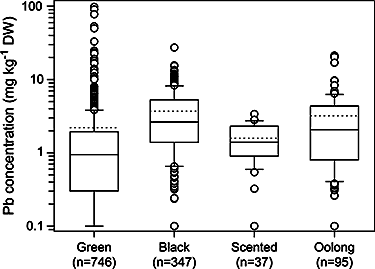 However the findings at least suggest the possibility that matcha might be better for you, as coffee and yerba mate do not contain L-theanine. 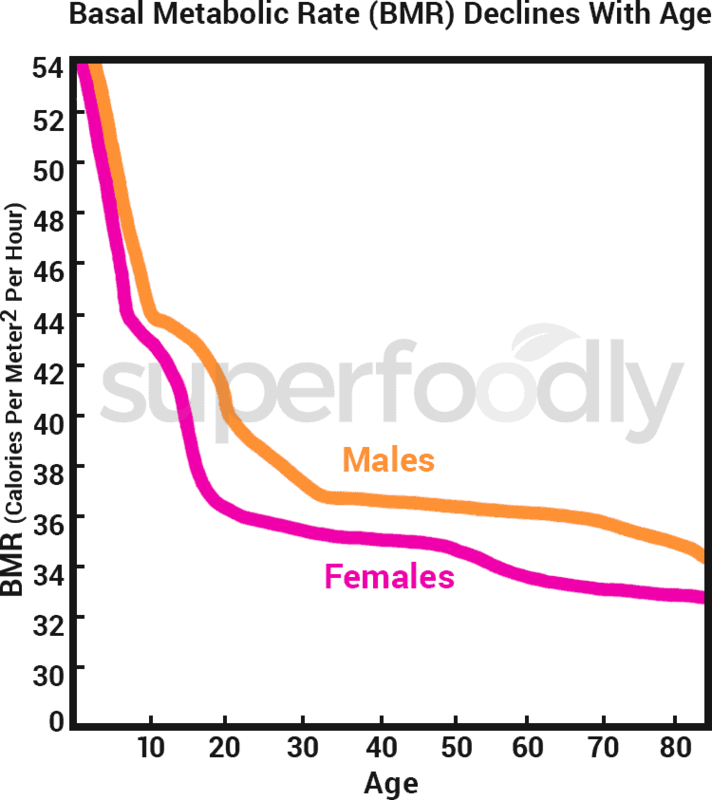 Your Basal Metabolic Rate (BMR) is the amount of calories you burn per day just by existing. Not those burned from exercise or other activities, but rather the basic fuel your body needs to survive. That’s why you were slim as a teen and as an adult, you are statistically more likely to be fat than not. The good news is that there is a proven way to boost your BMR and that is through high intensity physical activity. Anaerobic exercise has been found to cause “significantly elevated” metabolism as long as 38 hours after working out (16). When it comes to foods, green tea is perhaps the only one which has compelling research to suggest it might boost metabolism. Green tea extract, which naturally contained 50 mg of caffeine and 90 mg of the antioxidant epigallocatechin gallate (EGCG). The results with plain caffeine and placebo were identical, but when they took the green tea, scientists observed a 4% increase in their metabolism over a 24 hour time frame. Think about it… if you’re currently burning 2,500 calories per day, that 4% would equal another 100. To reiterate, there aren’t even enough studies to fully prove this is happening with green tea and none have been conducted using this form. Hopefully, we will see a matcha weight loss study in the near future, as it’s long overdue! How much antioxidants there are in matcha tea can be misleading. The best way for measuring antioxidants is using the ORAC method. Some manufacturers report eye-popping ORAC numbers for this beverage. The six-figure value they’re referencing is for the powder, not the brewed tea. ORAC is based off of how much antioxidants there are in 100 grams of a food or drink. If you measure 100 grams of the dry powder, it is enough to make 55 standard servings of matcha tea! That is why some list an ORAC of 150,000 or more. It’s for the straight up powder, before diluting it heavily with water. 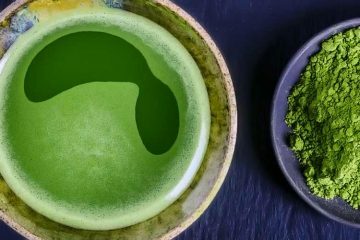 After brewing, the amount of antioxidants in matcha may not be significantly higher than your standard green tea, which has an ORAC of 1,253 for 100 grams of brewed. It often is higher than that, but not 10x or 100x. 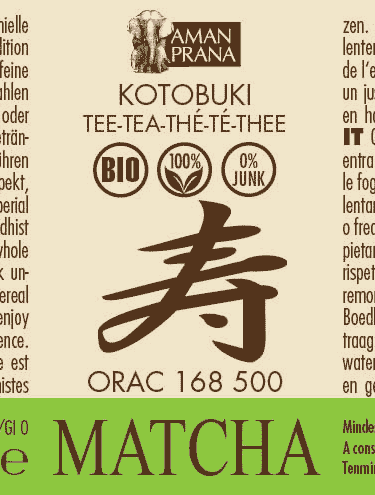 The highest quality ceremonial grade matcha will come in at around a 3,000 ORAC for a 100 gram brewed serving. That’s based on an ORAC of 168,500/100g for the Amanprana Kotobuki organic matcha powder. They are a very high quality brand which is ground in the traditional method of small granite mills. Assuming 1.8 grams is used per 2 fluid ounces, that leaves us with a 3,163 ORAC for a 100 grams brewed (which equals 3.38 fluid ounces). However most people don’t make it that concentrated. They’re doing at least 4 ounces per heaping teaspoon, if not 8 ounces. The means you have to cut the 3,163 ORAC at least in half, if using the diluted American recipes. 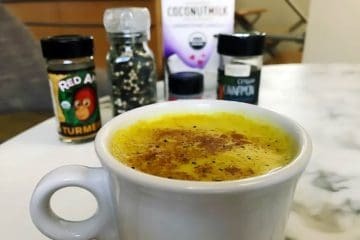 It will taste bad, creating a bitter and less potent flavor. The antioxidant content will be reduced. The best way to store matcha is in an airtight container, preferably one which is opaque to minimize light exposure. Both air and light will degrade the phytonutrients. Refrigeration is not required, but a lower temperature will prolong how long it’s good for. 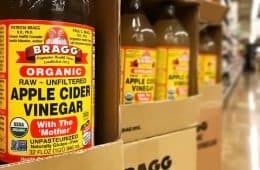 While the shelf life expires a year out or further, after opening and being exposed to air, it will normally go bad within 2 to 4 weeks at room temperature. Yes, green tea extract can cause acute liver failure (18). 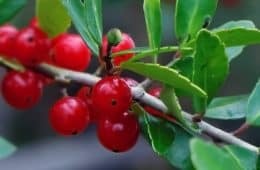 Now that may seem contradictory, because the catechins – which include EGCG – are potent antioxidants which have demonstrated anti-cancer activity in numerous experiments (19). When it comes to liver cancer, research has actually found that consumption correlates with reduced liver cancer risk (20). 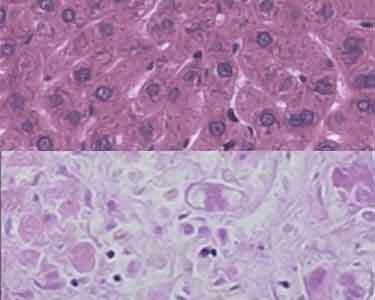 So how can it be toxic to this vital organ at the same time? Our liver is responsible for breaking down medicines as well as many dietary supplements. As with medicine, the right amount can be beneficial, but too much can be deadly. The same concept applies to these catechins. Many diet pill make use of them in hopes they burn fat. Such concentrated forms can be quite dangerous to our livers. Especially over the long term. It has been reported that some diet pills contain up to 50x the amount of these polyphenols you would find in a natural cup of brewed tea. Chung Yang of Rutgers, who was the lead author of that research, says up to 10 “small cups” of green tea per day is fine (21). If you have liver problems, you should consult your doctor before taking up a daily habit of drinking tea. Even if you are perfectly healthy, taking matcha pills for weight loss doesn’t seem like a safe idea given the toxicity risk. Rather than liver problems, an upset stomach from matcha is a much more likely side effect if you’re only drinking the natural beverage. The catechins and tannic acids can cause that. The umami flavor may also play a role. While a stomach ache or nausea is never fun, generally it’s harmless and short-lived. On your next batch, use less powder. Try adding a splash of almond milk to the cup. 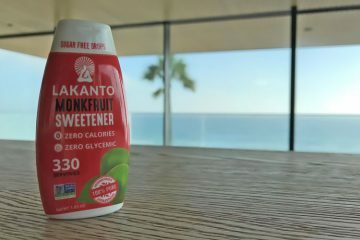 Use monk fruit to make it taste better without adding calories. Drinking it cold may help, such as in the form of an iced matcha latte. Take with food, not on an empty stomach. For many people who experience these symptoms, they go away after a couple weeks of drinking matcha daily. Just like how your first reaction to black coffee as a kid was probably pure repulsion, teas can be an acquired appreciation – not just for taste, but also for your body as it adapts. Overdosing on this stimulant is feasible, but unlikely for healthy individuals who are consuming it diluted in a beverage. High blood pressure can be worsened by caffeine, particularly systolic blood pressure (the upper number) (22). Osteoporosis sufferers are advised to limit their caffeine to less than 300 mg per day (23). Being that caffeine is a diuretic, the increased urination may cause too much calcium to leave the body. Glaucoma sufferers should avoid caffeine, since it can cause a temporary increase of intraocular pressure (IOP) for at least 90 minutes following consumption (24). If you are pregnant or breastfeeding, the American College of Obstetricians and Gynecologists (ACOG) advises limiting daily caffeine intake to 200 mg or less per day. Some claim up to 300 mg per day is safe (25). Since caffeine crosses the placenta and into the amniotic fluid, the developing baby will be exposed. So the less that pregnant women consume, the better. IBS symptoms may be affected by caffeine, though it’s difficult to tell since most low FODMAP dietary studies involve cutting out a lot of other things too, not just caffeine (26) (27). Lower blood sugar has been observed in some green tea research and it is believed to be caused by the catechins and polysaccharides (28) (29). While that normally would be considered a benefit, for diabetics that can be dangerous if when combined with their medication, it causes blood sugar levels to drop too low. While it’s technically possible, you will not find it for sale at the supermarket, on Amazon, or elsewhere. It exists in theory, but there’s no such thing for sale commercially. To the best of our knowledge, no one makes a decaf version. Why? Because a primary appeal of this tea is its higher caffeine. To remove it is counter to what most people drink it for. Fortunately, you do have a good alternative; decaf sencha powder. The best alternative for those wanting matcha health benefits without the caffeine. The difference between sencha and matcha is that the former is grown in full sun, while the latter is grown in the shade. This naturally results in sencha having less caffeine. Since they’re both powder, their drink preparation and culinary uses are identical. chemical solvents like methylene chloride, dichloromethane, and ethyl acetate. pressurizing carbon dioxide (CO2) until it liquefies and that is then used as a solvent. CO2 decaffeination is the best among those, as there is no foreign solvent residue left behind. The antioxidants are better preserved, as well as the flavor molecules. The hard-to-find water decaf process is arguably even better. It offers excellent preservation of the EGCG antioxidant. 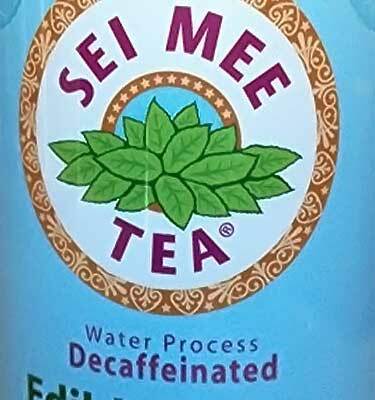 A good brand which offers this is Sei Mei Tea Edible Green. The biggest problem with this tea can affect everyone, including those who are healthy. Especially toddlers, kids, and pregnant women. This is because of lead contamination in tea. The reason matcha is more dangerous than regular green tea is because you are eating the leaves. Most of the lead content actually stays in the leaf when you steep a bag, so the amount of lead you are ingesting from filtered tea is naturally minimized. You’re more likely to overdose with this powder. Until that monk brought the seeds over to Japan in the 11th century A.D., China was its origin and even today, continues to be the biggest producer. How much? According to a United Nation agricultural report, 83% of exported green tea is grown in China and less than 1% comes from Japan (30). Even though Japan is responsible for 9.5% of world production, they export very little – only 0.6% of global consumption comes from Japanese grown leaves. Vietnam exports more than they consume – they’re 9.9% of global exports. Indonesia is 3.5%. Virtually no green tea is grown for commercial purposes in the USA or Australia. While India is large producer of tea, the consume 70% of it themselves and what they do export is in other forms. How much of those green tea exports are in the matcha form is unknown, or at least there isn’t sound verifiable reporting this premium version. Far less than 1% of global green tea production is in the form of matcha. Even for Japan, which is the biggest producer, true stone ground quality pure matcha represents only 1.1% of the country’s production. That’s according to the Feb 2013 issue of Tea & Coffee Trade Journal (print). 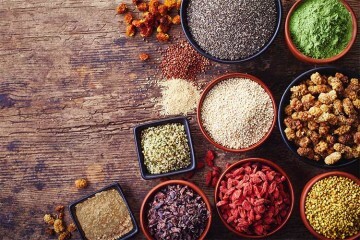 Even though China didn’t used to grow much, given its surge in popularity during last several years, they’re capitalizing on this superfood by ramping up production. How much exactly is unknown, but it’s clear based on the number of teas which now say grown/made in China. When you buy it, you’re almost certainly getting Japanese or Chinese grown. There are a few niche suppliers outside of those countries, but they’re few and far between. 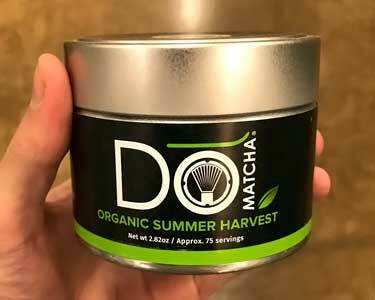 You probably won’t find Korean matcha green tea powder for sale at a place like Whole Foods! On average, green teas have the least amount of lead. However the range of how much they have varies way more than black tea and “scented” mixtures, like jasmine and chai. That’s right, forget FDA limit for a minute. Here we have nearly one-third of the tea exceeding the Chinese government’s own threshold for maximum lead content! 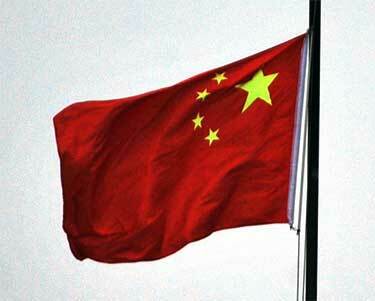 And that was in a report done by the Chinese Academy of Agricultural Sciences… research conducted in and by the Chinese! Both “premium” grade teas and those with younger leaves were found to contain less lead. The best matcha tea is made using the youngest leaves, from the top of the plant. It’s called ceremonial grade. 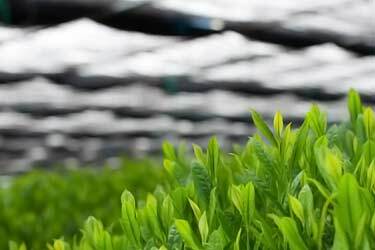 The above charts suggest that for a crop grown in contaminated soil, the high quality matcha grade leaves will contain less lead than other forms of green tea… even when they’re grown in the same soil. That’s good news for this superfood. But would it be safer to buy from Japan? Another, albeit older study, measured 139 Japanese green tea samples for lead and cadmium found that none exceeded 2 mcg per gram (32). The results ranged from 0.11 to 1.93. So is matcha bad for you if it comes from China? Not automatically, but the science seems to infer it’s more likely to be. A cup or two may be harmless, but drinking contaminated tea daily would be too much. As you see in the chart above, the Chinese study found a direct correlation between levels of lead and how far the farms were from highways. Why? Probably because they didn’t stop using leaded gasoline until the year 2,000. Even though they now use unleaded (like the United States, Japan, and pretty much everywhere else) the problem is that this mineral may still be in the soil. And of course, we haven’t even talked about all the industrial pollution taking place in that country. In short, it’s not that Chinese tea is always dangerous, but even a USDA certified organic seal doesn’t mean it was grown in a region safe from pollution. This is why we would recommend sticking with Japanese sources. Even though heavy metals like cadmium and lead may be less of an issue for the country, it’s important to point out the potential for radioactive contaminants. 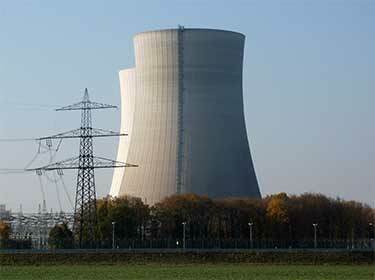 The Chinese haven’t had a nuclear power plant disaster, but Fukushima has. If you think the radiation is getting better as time passes, think again. The levels of radiation in 2017 are higher than they were during the 2011 meltdown. Experts quoted in the media have described the new levels as being “unimaginable” because right now, they’re up to 530 sieverts per hour (33). That’s 700% versus the prior record high of 73 sieverts. To put that radiation dosage into perspective, being directly exposed to just 4 sieverts is high enough to kill 50% of people. Cancer risk for the other 50% skyrockets. While those are atmospheric readings taken inside the containment vessel of reactor number 2, it’s been well documented these “containment” measures aren’t really working. As that radiation leaks out, where does it end up? Here’s a map showing 4,500 current measurements taken throughout the country (34). Those reddish-pink colored dots are where Fukushima is. The yellow dots you see throughout the country aren’t necessarily related to the nuclear disaster, as the sad truth is our whole world has radioactive pollution. A map of the United States, Canada, the UK, and every other country would have similar patterns of elevated radiation patches. The accident happened on the east coast of Japan, where the winds and water currents travel west. That means it is the Pacific Ocean which is getting the vast majority. As of 2015, the amount of radiation in food from Fukushima is back to pre-disaster levels. That’s for produce and meat that is grown and raised in the Fukushima region (35) (36). 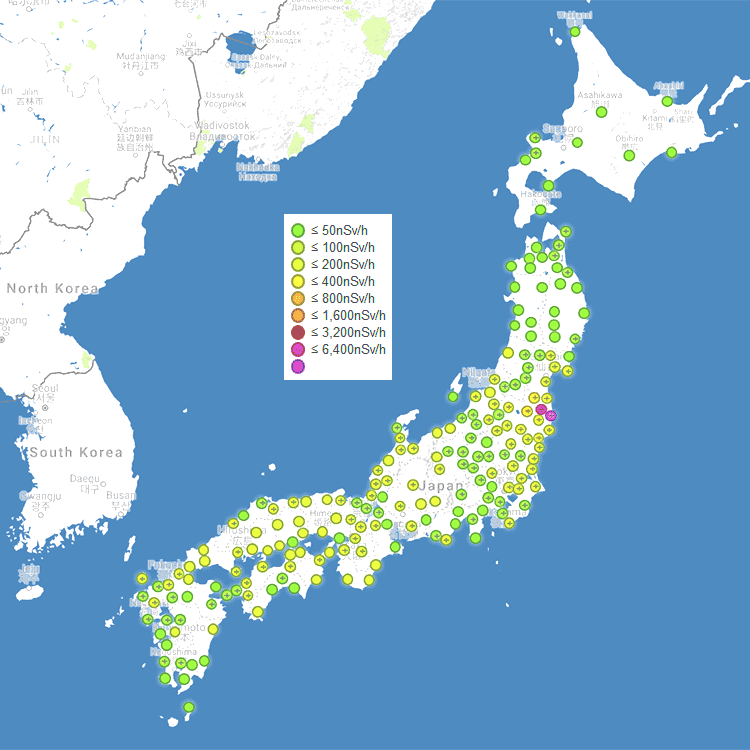 If even the produce from the Fukushima region is back to normal readings, then matcha green tea grown elsewhere in Japan should be perfectly safe. Especially in the eastern corridor of the country, since the wind and waters are carrying the radiation west. While the more recent 2017 readings are alarming, it shouldn’t affect your tea because of the direction that radiation travels. That being said, your safest option is to avoid green tea which comes from Fukushima and the surrounding areas. 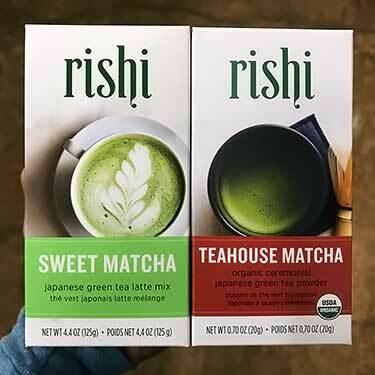 A low end brand like Starbucks, Nestle, Jamba Juice, or Trader Joe’s matcha green tea might not even clarify the country of origin, let alone the specific region in Japan (if that’s where it is coming from). Even when those brands do specify where their teas and lattes come from, they may be sourcing it from multiple regions within the country. All of the major tea producing regions are the opposite direction of the winds from Fukushima. Shizuoka (静岡) is by far the largest region, as nearly half of Japanese green tea is grown there. The westernmost farms in Shizuoka are still about 250 miles away (400 km) from Fukushima. So is Japanese green tea safe from radiation? Yes. Whether it’s the regular kind or matcha, the risk of elevated levels is quite small. What we would advise caution on though are the edible seaweeds – like nori – which are harvested from the Pacific Ocean, as those seem to pose a far greater radiation risk than any land-based plants grown hundreds of miles to the east. This is what’s used in the Starbucks latte. Let’s start this review with what to avoid! Starbucks does not sell unsweetened matcha, as the blend they use already has sugar mixed in. Worst yet, the sugar is listed first in the ingredients. For this, they do use Tazo matcha green tea powder from Japan. But aside from in a latte, you can’t buy the powder from Starbucks. It’s not for retail sale and even if it was, why would you want that junk? The origin for the green tea used in candies like Pocky matcha biscuit sticks and the Japanese Kit Kat bars is not disclosed either, but that should not be a concern for you. Given the little powder they contain and how you eat them infrequently [hopefully], where their tea comes from is irrelevant. It’s the sugar and calories in those which you need to worry about! When it comes to powders you drink, you do want to be selective since drink recipes involve concentrated amounts of powder and you may be consuming them weekly or even daily. One of the behemoths in this industry, Celestial Seasonings, sells a liquid latte concentrate in a carton and matcha in bags. 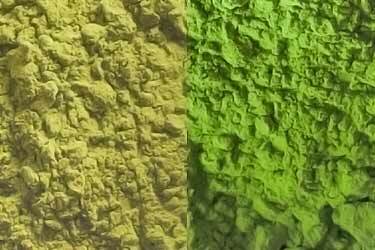 While both use Japanese powder, they are blended with regular green and the country of origin for that part is ambiguous (we couldn’t locate it). Whatever the case, Celestial Tea does not offer the pure powder you want. Other big brands like Yogi, Traditional Medicinals, and Organic India Tulsi don’t offer it, either. Pukka Herbs only offers a blend similar to Celestial. Aiya Matcha – Conventional from Nishio, organic from Kagoshima and Toyota. David’s Tea – Ceremonial and Grand Cru are from Nishio. Avoid regular, mint, and vanilla as origin is not disclosed on their website’s produt pages for those. DoMatcha – Kagoshima and Uji (Kyoto). 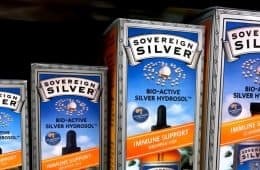 This brand’s ceremonial grade has been tested and passed for lead, arsenic, cadmium, and pesticides by ConsumerLab, which is an independent company that tests foods and supplements (we’re a member). Eden Matcha – This Michigan company sources their ceremonial from the aforementioned Aiya Tea Company. Kenko – Australian company who sells tea from Nishio. Kirkland Signature – A hybrid of Japanese sencha with matcha in a teabag. Miracle Matcha – UK brand offering white tea matcha sourced from Kenya. Mighty Leaf Tea – Their website says they source “primarily” from China, Japan, Sri Lanka, India, Taiwan, and Africa. However, their regular organic, ceremonial, and flavored versions (such as the matcha frappe and latte mixes) all listed Japan when we reviewed them. 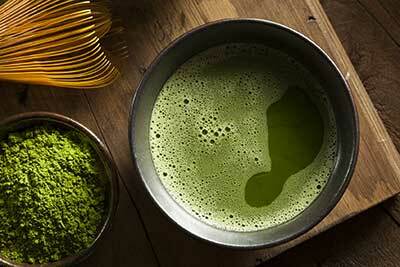 Mighty Matcha – UK brand using Japanese tea, region not disclosed. Though we question their expertise given this statement on their website; “137x more antioxidants than regular green tea!” (they’re comparing dry powder vs. brewed regular). Mind Over Matcha – Monsoon and booster juice both use Nishio. Numi Tea – Japan, region not disclosed. The Republic of Tea – Regular says Japan, as do their U Matcha Natural flavors. Similar to what Kirkland Signature offers, their organic 100% double green matcha tea bags are a hybrid and say “China, Japan” but it was tested by ConsumerLab. Rishi – They offer several grades which come from various Japanese regions. Teapigs – Organic, comes from the distributor Arcane in Tokyo. Teavana – Japan, region not disclosed. The Imperial is organic. Uji Matcha – Many people think this is a brand, but it is a type which is made using gyokuro grown in the Uji region (Kyoto). Unicity – Japan, region not disclosed. Vivid Matcha – Seller of bottled drinks and powder. Organic and from Japan, region not disclosed. Xndo matcha coffee – Japan, region not disclosed. 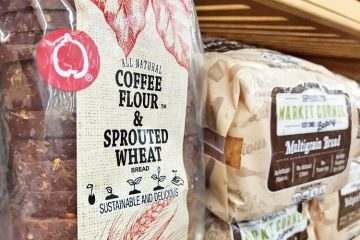 We checked at a Whole Foods location in Los Angeles and they only carried a small number of brands. That is better than what we saw at Ralph’s (name for Kroger in California) which had just a couple. Same for Walmart and Target. Trader Joe’s only sells a latte mix which is Japanese sourced, but the ingredient list is a mile long – sugars, wheat, and dairy derivatives, so it’s not vegan or gluten free. Buying online will be your best bet for selection. Stick with trustworthy brands because this is an industry where suppliers are known for fibbing on grades. That’s kind of like asking a mother to choose her favorite child! While we are satisfied with many of the above, if we had to choose only one brand the best would be Kenko ceremonial grade. Kenko is a USDA certified organic powder that comes from a small farming co-op in Nishio. It offers the right balance of high quality flavor for a great value. Even unsweetened, it tastes delicious. I question the claims about theanine and relaxation, and definitely about distractions. The initial hit from green tea may well produce a more relaxing caffeine buzz, but as one comes down green tea produces OCD. At least this is my personal observation. I cannot tolerate a messy house or a long todo list when I do green tea. And given the nature of Zen gardens and the epidemic of obsessive minimalism in Japan, I dare say that green tea produces similar effects in others. This is a useful effect if you want to get organized. But to enjoy the benefits of being organized, drop the green tea. Fluoride compounds anyone? What’s the active ingredient in Prozac? That’s the elephant in the tea house. Same for those relaxing Himalayan salt lamps for your precious infants. The active ingredient in Prozac, fluoxetine (C17H18F3NO) is in no way comparable to calcium fluoride (CaF2) or sodium fluoride (NaF) just how dihydrogen monoxide (H2O), known more commonly as water, has completely different proprietaries compared to hydrogen peroxide (H2O2). 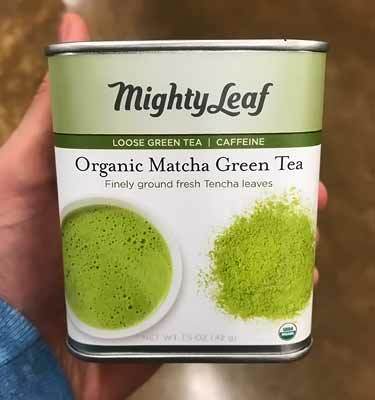 With that said matcha, especially lower grade, probably contains higher levels of fluoride, lead and other chemicals that can be harmful in large amounts compared to tea leaves and you probably also ingest more of them since you ingest the whole leaves rather than simply infusing them. Japanese teas generally have lower levels of fluoride than Asian mainland teas due to different soil as well as lower levels of pesticides and lead. Organic might have even lower levels, and I say might because it takes a while for these chemicals to disappear from the soil so it depends on how long the farm has been growing organic tea plants. 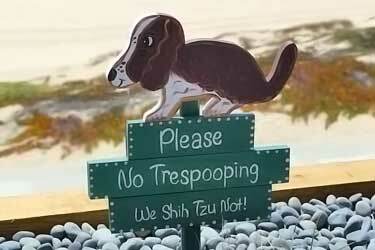 I would not worry too much about the fluoride in matcha, pu’er is much worse in that regard. Thank you for publishing this article. Very informative. 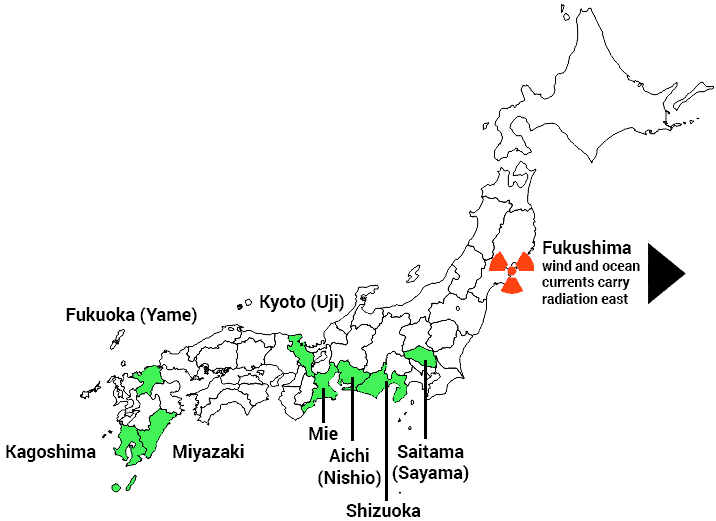 Your arrow pointing away from Fukushima is actually pointing east not west. All the tea areas are west of Fukushima, not east. I’m guessing by looking at the picture you just stated the directions back to front, and that the wind and currents draw the radiation east, not west. 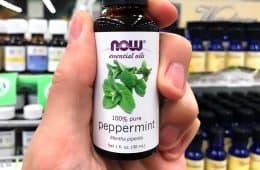 Why is Viva Naturals not included in this article. Their ceremonial Matcha green tea is high quality and much more affordable. Great informative article. Thank you! Have you ever looked into David’s Tea brands? Great article! Thank you! I will now avoid or be careful about which Matcha teas I drink! Its hard to get good one or know what you’re getting! This article truly explained it! I find Theanine makes blurry vision as does Valerian..
Have to avoid it. I may try it again as a supplement which I have left over but if I have that blurry vision next day cant do..